Sick Rabbit - Is My Bunny Unwell? 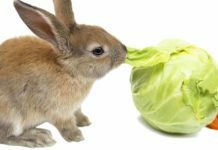 Home Pet Rabbits Sick Rabbit – Is My Bunny Unwell? Sick Rabbit – Is My Bunny Unwell? 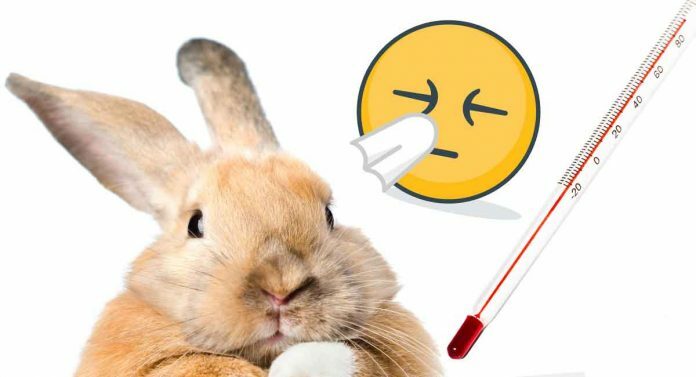 Are you worried you have a sick rabbit? Like all animals, rabbits are prone to various diseases, but often it is hard to know when a bunny is unwell. In the wild, it is natural for a sick rabbit to hide any signs of illness. As they are a prey species, showing signs of weakness makes them an easy target for predators. Domestic rabbits share the same traits, making it difficult for owners to detect when something is wrong. It is vital, therefore, to watch your rabbits daily and check their bodies for any abnormalities. If you suspect you have a sick rabbit, you need to take immediate action. 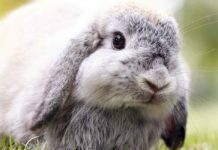 In this article, we have information about sick rabbit symptoms, the diagnoses that might match them, and the treatments your vet may prescribe. The one thing we can’t say enough is: if you spot any signs your rabbit is sick, contact your vet right away. Rabbits make adorable pets, and many remain healthy all their lives. However, as a caring bunny owner, it is vital that you can spot the signs of a poorly or sick rabbit by observing them daily. Monitor your rabbit’s eating and drinking habits, along with their droppings, behavior, activity levels and how they move around the hutch. Be vigilant for any changes in appearance such as a matted coat. When handling your bunny, always check the body by looking for any unusual lumps or signs of injury. If they squeal, it may be an indicator of pain, or that you are holding them wrong. Listen for teeth grinding and to their breathing. Usually, you shouldn’t hear anything. Detecting behavioral or physical changes early, however subtle, can help you determine if you have a sick rabbit and what action you should take. Recognizing early signs that your rabbit is sick could save their life! What do I do if my rabbit is sick? In veterinary terms, rabbits are exotic animals. That sounds like a flamboyant way to describe one of our most common pets, but it simply means they require specialized treatment and care which goes beyond standard veterinary training. So a sick rabbit should go to a rabbit-savvy vet. As soon as you become a bunny owner, find a veterinarian who has experience with rabbits, so you know who to go to in an emergency. It is very risky taking a sick rabbit to an ordinary vet as they may not have the most up to date and appropriate knowledge or expertise. These are some of the most commonly diagnosed rabbit health problems. Dental conditions are one of the most common reasons for a sick rabbit. A rabbit’s teeth never stop growing and sometimes they can become overgrown causing pain and loss of appetite. To compound the problem, a rabbit’s gut needs to be constantly working. It won’t automatically restart if it is allowed to empty – a condition called gastrointestinal stasi – which can ultimately be fatal. The vet will perform a complete examination in the mouth of your sick rabbit. Sometimes they may need to carry out blood tests or x-rays too. The rabbit’s teeth are burred (meaning worn down) by the vet, often under anaesthetic. Sometimes major surgery is required for tooth extractions. Your vet will outline an after-care routine that might include administering antibiotics and medication as well as syringe feeding. Feed your bunny plenty of fiber by giving unlimited quality hay and grass-based pellets. Also, give your rabbits safe items to chew on, so they naturally wear down their teeth. Healthy teeth means a healthy rabbit! Also known as ulcerative pododermatitis, sore hocks are a bacterial infection of the skin. 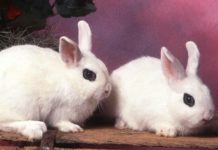 It is a common problem for domestic rabbits and is extremely painful. If left untreated, it can cause a potentially fatal infection. The vet will perform a clinical examination of your bunny and discuss his diet, exercise and history with you. If the vet believes there is a secondary infection, a swab will be taken for testing and in severe cases, an x-ray. Your vet will trim the fur around the foot and gently bathe the infected area with disinfectant, followed by a topical antiseptic. Other treatment options may include anti-inflammatories and dressings. If a secondary infection has occurred, the vet will prescribe antibiotics. Unfortunately, once a rabbit has sore hocks, it often recurs. Severe cases may cause damage to the tendons, in which case your vet will discuss your rabbits options with you. Daily bathing may be necessary for your bunny along with medications and restricted exercise until he heals. Ensure your bunny’s cage is big enough for him with plenty of bedding. Keep the hutch clean and ensure your pet has plenty of exercise, maintaining a healthy weight. Trim his nails regularly. Flystrike, also known as myiasis, is a condition where flies lay their eggs on a bunny’s skin (usually around their bottom). The eggs hatch out into maggots which then eat away at the rabbit’s skin and can be fatal. It usually occurs in the summer months and is more common in rabbits kept outside. A rabbit with flystrike must see the vet immediately. The vet may either sedate or anaesthetise your bunny to carry out a thorough examination. Fur is clipped away so the vet can remove all maggots on the rabbit’s fur. If the maggots have eaten into the rabbit’s skin, your vet will discuss the possibilities with you, of which euthanasia may sadly be one. . Your rabbit may have a drip and feed by syringe. Antibiotics are prescribed and possibly anti-inflammatory and pain-killing drugs as well. If the condition is discovered and treated quickly, rabbits can make a full recovery. While it is impossible to eliminate flies, flystrike is preventable with proper management. Ensure your rabbits hutch is kept thoroughly clean. Do not overfeed your rabbit – this can cause diarrhea leading to a dirty groin, and an overweight rabbit will struggle to keep their fur clean. Limit fruit and vegetables with a high water content – for example iceberg lettuce. Check your rabbit twice a day for soiling, wounds and maggots. Female unneutered rabbits over the age of three have an 80% chance of developing cancer of the uterus. Often the cancer spreads to other parts of the body. The vet may offer a biopsy of the uterine tissue and use x-rays and ultrasound to identify tumours. If the cancer hasn’t spread, the vet may recommend a hysterectomy. Chemotherapy is not effective for rabbits with this type of cancer. In many cases, early action allows a rabbit to make a complete recovery. If the cancer has spread, your vet will help you decide how to manage it, which might ultimately include end of life planning and euthanasia. If your doe has surgery for uterine cancer, she will come home with a detailed care plan from your vet. They might also recommend she goes back for check-ups every 3 to 6 months. Spaying of females before they are four years old is highly recommended to prevent this type of cancer. Myxomatosis is a type of pox virus transmitted by mosquitoes and fleas that affects rabbits only. It is almost always fatal. If your rabbit has symptoms of myxomatosis, call your vet immediately. Myxomatosis is highly contagious, so your vet will arrange to see them in a way that doesn’t put other rabbit visiting their clinic at risk. Your vet will perform a thorough examination of your rabbit, and ask about their history and symptoms. Further tests might include blood tests, urinalysis and tissue samples, but often the disease acts too quickly for these to be of use. If your rabbit dies suddenly, a diagnosis can be made post-mortem – this is important for identifying where myxomatosis outbreaks are taking place.. Sadly, the survival rates of rabbits with myxomatosis are vanishingly small. Often the most humane course of action is to euthanize an infected rabbit. If treatment occurs, your bunny will require intensive therapy through supportive fluids over an extended period, staying at the veterinary hospital. In the UK, Europe and Australia, vaccines are available for myxomatosis. In the USA and Canada, there are no approved vaccines for the disease, plus it is illegal to import vaccines from other countries. If possible, keep your pet indoors and place mosquito netting around the hutch. Ask your vet about insecticides specially designed for rabbits, and whether there have been any known outbreaks of myxomatosis in your area. RHD, also known as rabbit calcivirus, is highly infectious, attacking a rabbit’s internal organs causing them to haemorrhage and is usually fatal. It is spread by mosquitoes and flies or through contact with an infected rabbit. In many cases rabbits with RHD die within two or three days of contracting the disease, and symptoms don’t even have time to appear. Whenever an otherwise healthy rabbit dies suddenly, contact your veterinary practice to notify them – you could help prevent an epidemic. Unfortunately there is no known cure for RHD, which means that your vet will probably steer you towards euthanasia, and focus on protecting any other rabbits your also have at home. With RHD, prevention is better than cure. In the UK, Europe and Australia, vaccinations are available for RHD but not in the USA or Canada. It is vital that you pay daily attention to your rabbit – watch for any slight changes in behavior and check his body for lumps and injuries. If you notice anything different, however small ask your vet for advice. Always err on the side of caution – your vet might even be able to allay your concerns over the phone without a stressful trip to the clinic. Always use a vet who specializes in rabbits and vaccinate your bunny against diseases if the vaccine is available in your country. Feed your rabbit a high fiber diet, and give them safe items to chew. Practise good management habits by keeping your pet in a hygienic and clean environment. Have you looked after a sick rabbit? Rabbits, like all animals can get sick from time to time. Sometimes it is down to plain old bad luck, but we can also help to protect our rabbits from a lot of illnesses by giving them the best possible care. Has your rabbit ever been sick? Please share their story with us and other rabbit owners using the comments box. Harcourt Brown, F., Diagnosis, treatment and prognosis of dental disease in pet rabbits, In Practice, 1997. Hobb et al, Comparison of several combinations for anesthesia in rabbits, American Journal of Veterinary Research, 1991. Zarrow et al, Maternal Behaviour in the Rabbit: Endocrine Control of Maternal Nest-Building, Reproduction, 1968. Cousquer, G., Veterinary care of rabbits with myiasis, In Practice, 2016. Murakami et al, Pathogenesis of experimental amyloid protein A amyloidosis in sore hocks-affected rabbits, Amyloid, 2011. Mancinelli et al, Husbandry risk factors associated with hock pododermatitis in UK pet rabbits (Oryctolagus cuniculus), Veterinary Record, 2014. Calvete et al, Epidemiology of viral haemorrhagic disease and myxomatosis in a free-living population of wild rabbits, Veterinary Record, 2002. Moss et al, Molecular epidemiology of Rabbit haemorrhagic disease virus, Journal of General Virology, 2002. Abrantes et al, Rabbit haemorrhagic disease (RHD) and rabbit haemorrhagic disease virus (RHDV): a review, Veterinary Research, 2002.